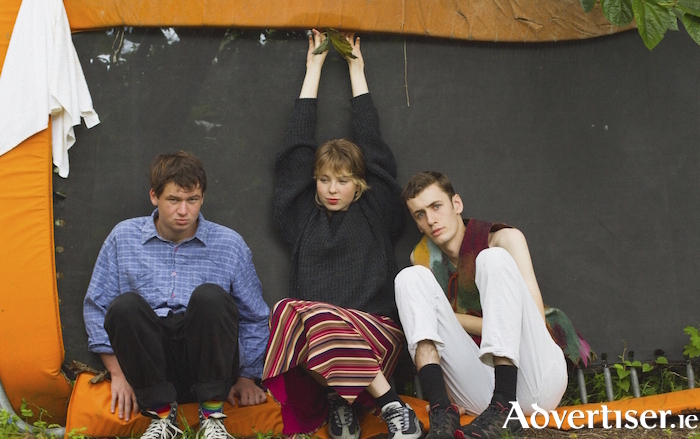 DISTANCE IS usually required to process and understand an experience, but The Goon Sax - 17 when they released their marvellous debut, 19 now for their second album - are still teens writing about the adolescent experience. That James Harrison, Louis Forster, and Riley Jones can describe, so articulately, the tumult of adolescence, while still going through it, is one of the most impressive things about this Aussie trio. So too is their ability, at such a young age, to create such well crafted songs with a strong sense of indie-pop dynamics. In just 30 minutes, We're Not Talking details the confusion, regret, awkwardness, and yearning of teenage life: "I've got problems I don't know how to deal with/and I've got issues I don't want to be seen with" ('Love Lost' ); "I'm cruel but I'm not cold. I just can't let it go' ('Sleep EZ' ); "We don't want distance, but it seems to come to us so easily" ('We Can't Win' ); "I'm not the best and I'm not the worst" ('Til The End' ). The album finds the trio expanding their 80s style indie-jangle sound to take in punk, solo piano, keyboards, and percussion, resulting in more sonic diversity than the debut. Among its finest moments are when Harrison and Jones share vocals, creating bittersweet songs where melody and ennui fight for supremacy, but Jones, on the solo 'Strange Light', near steals the show with a wistful, poignant, yet unsentimental look at first love: "You're in love with the first girl you ever really saw".